The dangerous conditions that resulted in Licenses & Inspections violations have been repaired. Delinquent taxes have been paid. And the owner of the property at 5101 Rochelle Avenue in Roxborough said he is finishing rehabilitation of the building and will soon be seeking residential and commercial tenants. But the Wissahickon Interested Citizen’s Association has begun proceedings to have a court-appointed conservator take possession of the property, complete its rehab, and possibly sell the building. A second hearing on the case will be held Tuesday in the Philadelphia Court of Common Pleas. WICA is using 2008 state legislation known as Act 135, or the Abandoned and Blighted Property Conservatorship Act, to acquire the property located at Rochelle Avenue and Sumac Street. The law is aimed at transforming neglected properties into productive reuse. According to Eric Sacks, the owner of the building, it was never abandoned and is no longer blighted, and losing the property would be a financial blow to his family. “I believe what is happening is the unintended consequences of a good law. 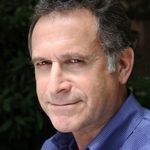 People are hijacking the concept of the law, and they are not operating out of concern for the heart of the neighborhood,” Sacks said. 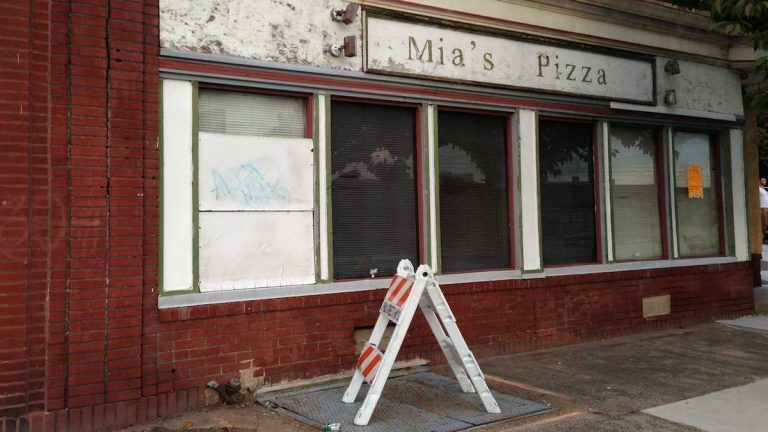 In Oct. 2013, L&I notices were posted on the Rochelle Avenue building, which had once been Mia’s Pizza restaurant, informing the owner that he faced legal action and fines if immediate repairs weren’t made. The notices cited a partially collapsed ceiling and repairs needed on the front and basement entrances. The metal doors leading to the cellar had been broken and dislodged, leaving a hole along the pedestrian walkway. WICA vice president Charles Roller said the building had been an eyesore for years, adding to the rundown appearance of the Ridge Avenue gateway to Roxborough. Neither Roller nor other representatives of WICA responded last week to requests for comment for this article. Sacks acknowledged that the building had fallen into disrepair over the past decade, when it had been owned by his two brothers, Barry and Steven. Eric Sacks bought the property from them in 2012. But because of a family illness, he was not able to begin repairing the building until six months later, he said. City records also showed that Sacks owed $4,082 in delinquent real estate taxes in 2013. Sacks said he entered into an agreement to pay off the back taxes and completed payment in Aug. 2014. A notice of housing code violations at the building was issued as recently as April 11, 2014. Sacks said he received notification from L&I last October that the property met all code requirements. Still, a stop-work order was issued a month ago, Sacks said, and an inspector informed him that he needed electrical and general construction permits to complete rehabilitation of the building. Jeffrey Allegretti, who serves on WICA’s zoning committee, is president of Innova. Sacks said the building is now structurally sound and he has painted the exterior, replaced the glass, installed a security and fire alarm system, and is currently renovating the interior. The building is zoned for mixed use, and he plans on three apartments and a commercial space on the ground floor. “We are planning on making very nice apartments,” Sack said. “This is a beautiful building with a great view” looking out from the Roxborough hill. “Very shortly we plan to put out feelers for someone to move into the commercial space, and we will work around their needs. I picture a restaurant, and I’d like to see the first-floor windows turned into large glass doors,” Sacks said. He expects the court to ask who would do a better job on the renovation.